When it comes to litigation matters, there are never any guarantees on how your case will turn out. Therefore, it is best to work with a Los Angeles litigation lawyer who is highly experienced, and who is dedicated to representing your interests and rights to the fullest extent of the law. At Law Advocate Group, we will evaluate your situation and develop a solution that will help produce real results in your favor. If you’re faced with impending legal proceedings, and are in need of a highly qualified Los Angeles litigation lawyer, you have come to the right place. At Law Advocate Group, LLP, our legal experts boast nearly a century of combined courtroom experience in Los Angeles, and we can provide you with the representation you need to make your best case. We specialize in entertainment law, real estate law, criminal proceedings, and business litigation, and we look forward to working with you in the pursuit of justice. At Law Advocate Group, LLC, we adhere to the highest standards of proficiency, competency, and integrity, and our proven track record of results speaks for itself. But we don’t simply expect you to take our word for it. We invite you to give us a call, share your story with us, and learn more about how we can assist your specific case. Our highly experienced attorneys are among the most sought-after in the greater Los Angeles area, because our knowledge, experience, and success are simply unparalleled. When you contact our leading law firm, we first evaluate your claim to learn more about your case. If we believe that we’re the right firm to handle your case, one of our experts can register the claim and represent you in court. You’ve heard the saying, “He who represents himself in court has a fool for a client.” By working with us, you can rest easy knowing that your case is in qualified hands. After all, you have enough to worry about as it is. Let us take care of the legal proceedings. As litigation attorneys, we assist clients throughout every stage of the legal process, from the initial investigation, to the pleadings and discovery, all the way through the trial. We don’t expect you to understand the entire process; that’s our job. You can simply have confidence in knowing that your case is being handled by seasoned experts who understand the process inside and out. Here are just some of the areas in which we specialize. When choosing the best defense for legal matters it is wise to hire a Los Angeles Litigation Attorney that has a solid track record and years of experience in the courtroom. Law Advocate Group, LLP has over 80 years in combined courtroom experience in Los Angeles Litigation, Entertainment Law, Real Estate Law, Criminal Defense Law and Business Litigation. While word-of-mouth is one of the most common ways people decide upon who to contact when they are facing legal issues, it isn’t solely based on that alone. It comes down to proven results, integrity and lawyer client relationships. Law Advocate Group, LLP based in Beverly Hills, CA are a highly experienced group of Civil Litigation Lawyers in Los Angeles that have had the courtroom success to prove their worth. The role of the litigation professional is challenging and diverse. Since litigation is an adversarial process, Los Angeles Litigation attorneys and paralegals must be willing to assume an oppositional position and embrace conflict and controversy. Though litigation is a somewhat broad term that encompasses a wide range of steps in a legal process, you can rest assured that our team is here for your every step of the way. 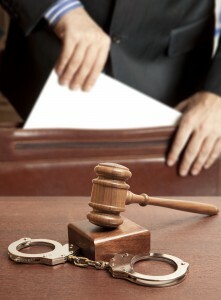 When you need the most experienced Los Angeles litigation lawyer, you are in the best possible hands. Our business litigation experts understand the laws, the regulations, and the processes that guide the legal system, and we can ensure that your rights are protected to their absolute fullest. Knowledge, though critically important, is only one piece of the puzzle. Additionally, you need a Los Angeles litigation lawyer with the courage to stand up for your rights in the adversarial legal arena. 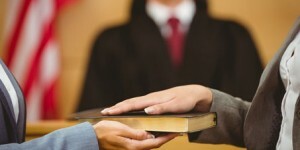 At Law Advocate Group, LLC, we stand firmly for our clients, even when no one else will. You have the right to a fair and just day in court, and we work to ensure that your case is represented aggressively and without compromise. Our award-winning firm is fully committed to maintaining attorney-client privilege, so you need never worry about your personal information being shared or disclosed in any way. We work with total discretion, fully maintaining your confidence and working in close communication with you throughout every phase of the legal proceeding. We’re here to answer all of your questions, help you understand your rights, and provide you with the kind of uncompromising representation that you just won’t find with any other litigation lawyer in Los Angeles. Are you ready to get started? Our experts are ready to serve you. Contact us today, and one of our friendly representatives will work with you to determine the best course of action for your case. Don’t leave your legal future to chance. Get in touch with Law Advocate Group, LLC, and get the representation you deserve. Let us be your tireless ally.